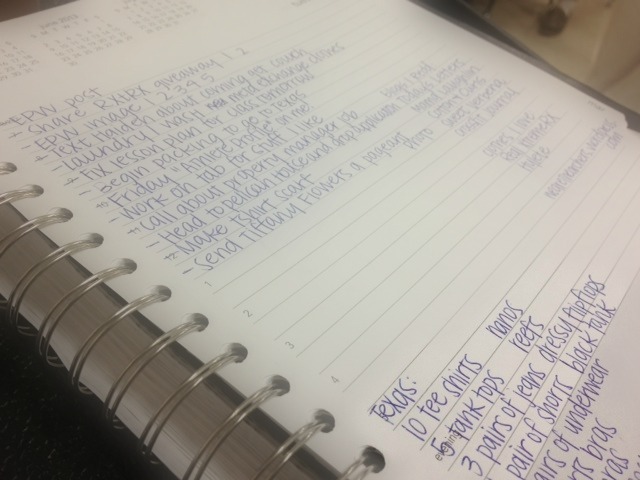 I am thankful for my super awesome (but discontinued) 365 day, 8.5″x11″ planner from Mead. It gives me a page for everyday that I manage to fill up with ridiculous things to do. I am thankful that I actually find time to get some (if not all) of the things crossed off my lists everyday. I do my best! I am really pissed that Mead no longer makes my awesome planner. Color me disappointed. Y’all see this? I even have to plan for packing things and when to do my laundry. Geeze. With my ridiculous work schedule, I don’t get a lot of it, but boy have I been thankful for the 3-4 hours I’ve been getting every night. I am sincerely looking forward to summer when I can get more zzz’s and workouts in. EEK!